I don’t tend to freely give my cell number out (or if I do, I give out my google voice number). However, I still get annoying calls from vendors who legitimately do have my contact information (Dish, TimeWarner, etc) as well as random telemarketer or recruiter calls at mostly inconvenient times. 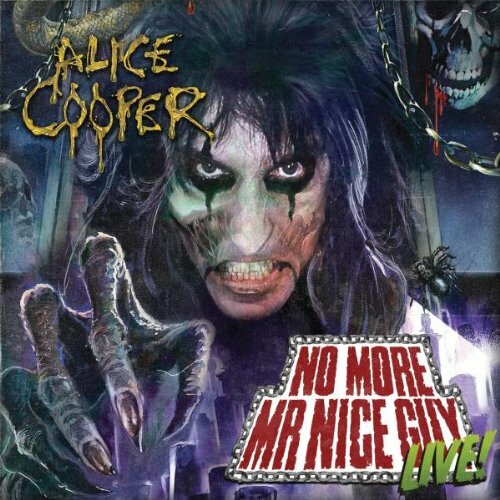 I decided this week that it’s time to take a page from Alice Cooper’s book, and I now repeat the mantra “No more Mr Nice Guy”! There are a lot of apps out there for both Android and IOS phones which do caller blacklisting and the like, but I really didn’t want that. What I wanted to do was to block any incoming calls from callers who are not on my contact list. My presumption is that if I bothered to make a contact list entry for them, then they have some significance in my life and I may want to receive a call from them. If somebody I know calls me now my phone rings, but anybody else goes right to voicemail. So, when somebody new calls me, I don’t lose the call forever, but have a chance to review the voicemail and perhaps add them to my contacts if I want to continue communication with that individual. What I did here is to manually turn on the feature (though you can schedule it if you want), and I also selected “always” at the bottom as I really want blocking to occur even if I have the phone unlocked. 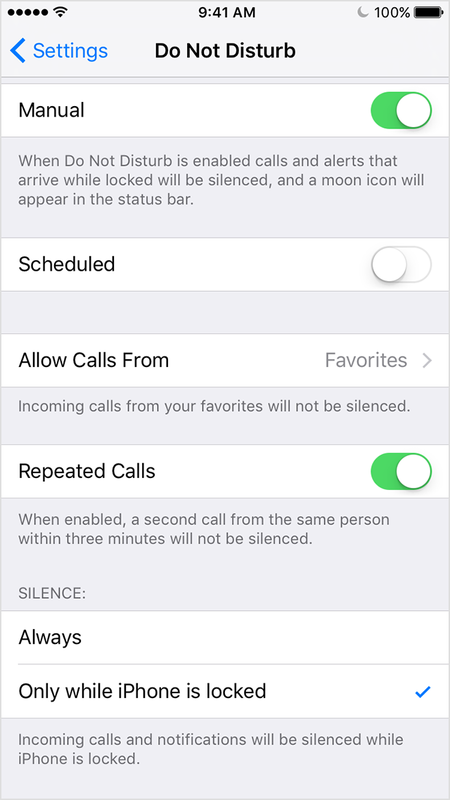 I set “Allow Calls From” to “All Contacts”. That’s all there is to it! Android requires an app to accomplish this goal. The one I chose is called aFirewall. This app is a bit obscure in it’s usage, but it’s quite a versatile program. I’m only using a small portion of it’s functionality to restore my sanity and support my new mantra. I installed the program, then went to the “Scheduled Rules” tab. I modified the default rule (the first one listed) to “Accept Contacts”. Done! If you are curious about some of the other interesting things this program can do, please see the author’s FAQ here. This used to be simple to do, a few releases of Windows ago, but now that windows has been improved, it’s not so simple. You can fairly easily change the default action for “open”, but edit?? Not so simple. Perusal of net.wisdom on the subject usually yields registry hacks and the like. Big fail for Microsoft for removing this ability. However, all is not lost! 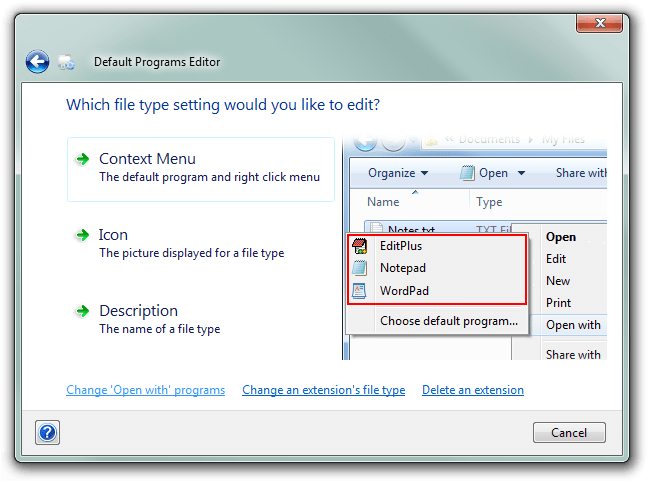 Enter Default Programs Editor – yay! This little program is really great. It does a lot and is easy to use. It’s your one stop shop for customizing things the way you want them to work. I downloaded it, ran it, changed the edit functionality I wanted for a specific file type, and then tossed off a donation to the author because it’s so nice to see a simple solution with no adware or other junk, and a decent user interface. Android? Really? 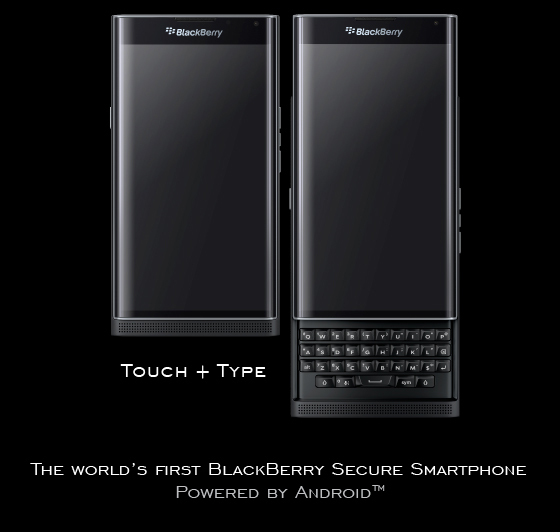 Blackberry’s one claim to fame has always been the security of their devices. Now they offer a new improved one with the most insecure operating system available for mobiles? Interesting strategy. This reminds me of a scene from Monty Python in which a man brings a cart around to pestilence ridden villages ringing a bell and proclaiming loudly “Bring out your dead”. 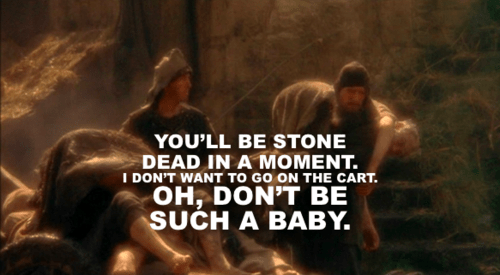 John Cleese has this old sick guy with him and tries to give him to the cart man. The sick guy keeps protesting “but I’m not dead”. Cleese says that he’s almost dead and to just shut up and get on the cart. The cart man won’t take him because it’s against regulations. After some quick negotiation for a favor, the cart man bashes the sick man in the head and loads him up on the cart. Doesn’t anyone have a stick to put Blackberry out of their misery? They lost their market edge due to inability to compete with all of the feature-laden consumer grade products. Now, they are struggling and clawing to try to regain some relevancy in the marketplace. They are trying to leverage their BES (Blackberry Enterprise Server) product, expanding it to handle non-blackberry products in an attempt to own the MDM (Mobile Device Manager) market. They recently purchased Watchdox, a really decent enterprise file share product. This purchase caused Watchdox to drop from the top-right of the Gartner magic quadrant, down to the lower right quadrant (not such a good place to be). This reflects a perceived inability to execute on product/feature delivery. Now they have released an android phone. Perhaps it’s just me finding this humorous and perhaps a little sad. This is very cool. It’s an aviation first and hopefully will pave the way for more electric powered flight. The flight started from Abu Dhabi and will circumnavigate the globe, ending in Abu Dhabi once again. As I write this, this leg of the flight is a very long stretch over open water, so very little margin for error. Takeoff was June 20th in Japan (after being stuck there for weeks due to weather) and will land in Hawaii 5 days later. 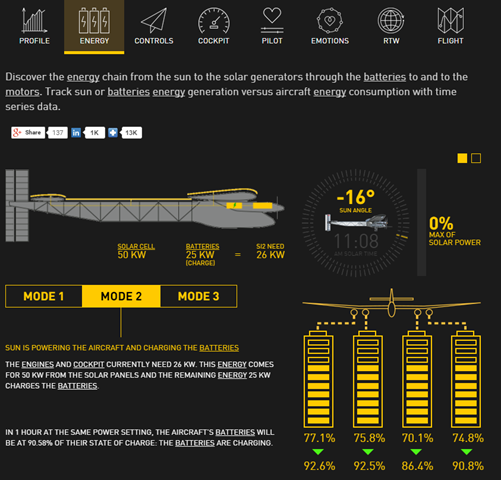 The aircraft uses 26kw of power during the day, with 25kw additional power being used to charge the batteries. At night, the aircraft cruises on batteries until the sun comes up again. Catalin Alexandru Duru has set a Guinness World Record for farthest flight by hoverboard! Catalin needed to travel a minimum of 164 feet airborne to break the record — and in the end, he smashed it easily, travelling 905 feet and two inches at a height of around 16 feet at Lake Ouareau in Quebec, Canada. The hoverboard was built over a one year period and is apparently very stable to ride. Biplane with a Jet engine strapped on? YEA!! 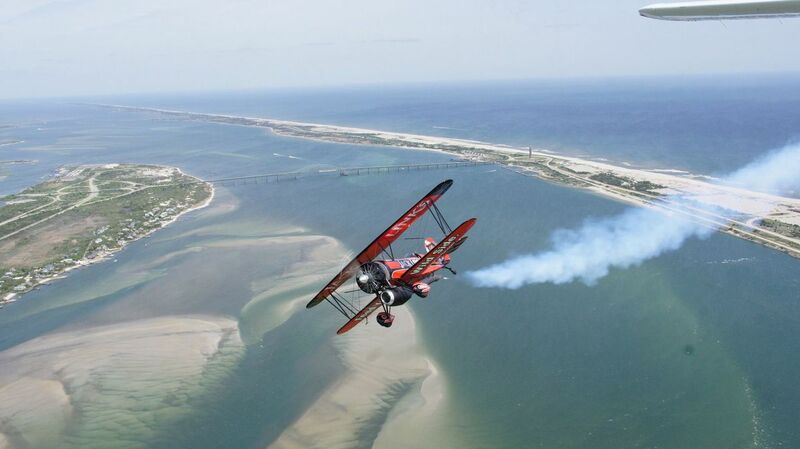 Acrobatics pilot Jeff Boerboon flys a modified Waco biplane for Jack Link’s flying team (Jack Link’s of the always ready-to-eat beef jerky). What makes this particular plane so unique is the addition of a Learjet engine attached below the traditional engine and propeller. A replica of a 1929 Taperwing biplane, the Jack Link’s Screamin’ Sasquatch was built from the ground up by pilot and mechanic Dell Coller for stunt flying. Coller says that when they first fired up the Sasquatch’s jet engine while the plane was on the tarmac, it burned a hole right in the pavement. “We’ve since learned to start it up only on concrete,” said Coller. They can also take off with just the prop engine and turn on the jet while in flight. 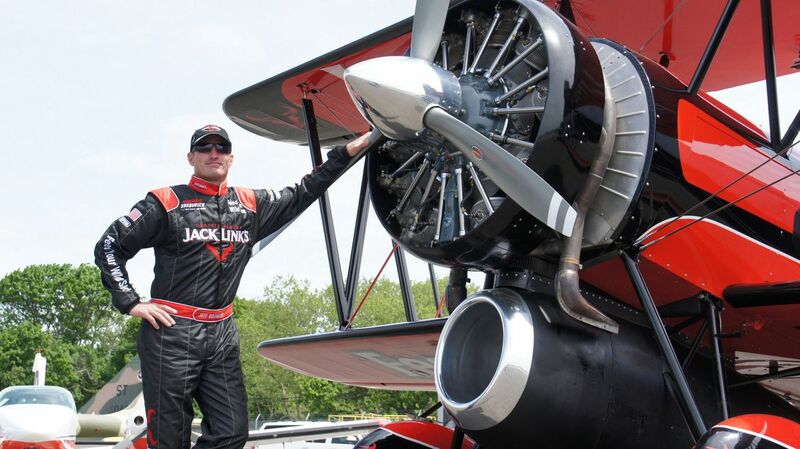 That engine, by the way, doesn’t just look cool, it literally supercharges the biplane. Without the jet engine, the plane’s propeller has about 1,500 lbs. of thrust. With the jet engine, it has 4,000 lbs. On prop power, the plane can fly roughly 110 miles per hour. With the jet on, it can do 250 mph. That extra equipment gives the Screamin’ Sasquatch special capabilities. For example, it can fly up and then use the jet engine to almost hover in the air (with the nose pointed up) and then, jet off even higher. Coller told me. It’s a feat “the rest of them wish they could do,” he said. US regulations – regulating us into the 3rd world? We are behind in UAV race. Here in the “land of opportunity”, it seems that opportunity fades with time. We now have too many regulations; some governmental, and some imposed by nervous insurance companies. The result is that innovation and testing is being done overseas. That’s the only way to actually make progress. Many products don’t even progress beyond the idea phase because development and testing would be impossible here. That leaves innovation to other teams in other countries for the most part, except in the case of large companies who can finance a division outside the US stranglehold. UAVs are not the only product where we’re slipping behind. Flying cars and motorcycles are being toyed with here to some degree, but in other countries products are being developed in earnest. This extends to other industries also. Drugs is another good example. The FDA is so slow and cumbersome that many people die each year here because medication that could help them is not approved. Most don’t have the wherewithal to relocate to another country where such treatment is available. Unless something is done about this growing problem, we are going to regulate ourselves into the 3rd world as far as the rest of the globe is concerned. Once you get behind, it’s awfully hard to play catch-up, and the rest of the advanced nations show no inclination to slow their research and development. Lumens vs Watts – what LED bulb should you pick to replace an incandescent? I can never find this info when I need it, and I’m terrible at remembering numbers so I decided to post it here for everybody’s edification. Incandescent bulbs are going away. Many governments are prohibiting their manufacture, so it’s only a matter of time. Replacement choices are either CF (compact fluorescent) or LED. These bulbs have a light output rated in Lumens, so it’s good to know what the Lumen equivalent is if you are replacing a 60W incandescent bulb and want the same amount of light. Many CF bulbs have a slow start-up time, so it can take up to 2 minutes for the bulb to reach full brightness. If this is undesirable, then opt for an LED bulb as they are instant-on. LED also is lower heat and has less power draw, but can be more expensive than CF bulbs. The other wrinkle is color temperature. We’re all familiar with “cool white” or “warm white” bulbs, but translating that into LED or CF specs on the packaging can be daunting. Here’s a handy chart that shows the Kelvin temperatures and the common vernacular equivalents. As you can see, a cool white bulb is around 4200K, so when shopping for a replacement for a 100W cool white incandescent, you would want to buy a 1600 lumen 4200K bulb.